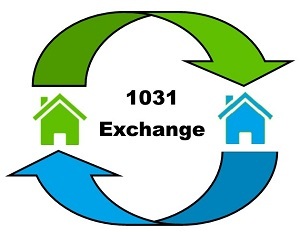 What is a 1031 Exchange and how can I use it to my advantage? Under section 1031 of the Internal Revenue Code, a real property owner can sell his property and then reinvest the proceeds in ownership of like-kind property and defer the capital gains taxes. To qualify as a 1031 exchange, property exchanges must be done in accordance with the rules set forth in the tax code and in the treasury regulations. 1031 exchange services can offer significant tax advantages to real estate buyers. What is “like kind” property? In a 1031 exchange you can exchange any real property for any other real property within the United States or its possessions if said properties are held for productive use in trade or business or for investment purposes. Examples of like-kind property include apartments, commercial, condos, duplexes, raw land and rental homes. Examples of non like-kind properties include primary residences, stocks and bonds, notes, partnership interests, developed lots held primarily for sale and property to be resold immediately after initial purchase or completion of improvements. Who should consider a 1031 exchange? If you have real property that will net you a gain upon sale and that has been substantially depreciated for tax purposes and/or has appreciated in fair market value, then you should consider a 1031 exchange. This includes property that has been used in your trade or business and property held for investment. Business use is defined as, “To hold property for productive use in trade or business.” Property retired from previous productive use in business can be qualifying property. Investment purpose defined as real estate, even if unproductive, held by a non-dealer for future use or increment in value is held for investment and not primarily for sale. Investment is the passive holding of property, for more than a temporary period, with the expectation that it will appreciate. Property held for sale in the immediate future is not held for investment. Why exchange instead of selling? Defer paying capital gains taxes. Refinance either before or after the exchange to take our tax-free cash. A properly structured exchange can provide real estate investors with the opportunity to defer all of their capital gains taxes. By exchanging, the investor essentially receives an interest-free, no-term loan from the government. Diversify into multiple properties rather than just one. Relocation to a new area. Avoid depreciation recapture tax when selling a property. Partially defer tax by trading down to a smaller property that better suits your needs. Change property types among residential, commercial, retail, etc. Completely avoid capital gains tax by still owning the last property in a chain of tax deferred trades when you die. The real property you sell and the real property you buy must both be held for productive use in a trade or business or for investment purposes and must be like-kind. The proceeds from the sale must go through the hands of a qualified intermediary and not through your hands or the hands of one of your agents or else all the proceeds will become taxable. All the cash proceeds from the original sale must be reinvested in the replacement property – any cash proceeds that you retain will be taxable. The replacement property must be subject to an equal level or greater level of debt than the relinquished property or the buyer will either have to pay taxes on the amount of the decrease or have to put in additional cash funds to offset the lower level of debt in the replacement property. Identification Period: Within 45 days of selling the relinquished property you must identify suitable replacement properties. This 45 day rule is very strict and is not extended should the 45th day fall on a Saturday, Sunday, or legal holiday. Exchange Period: The replacement property must be received by the taxpayer within the “exchange period,” which ends within the earlier of . . . 180 days after the date on which the taxpayer transfers the property relinquished, or . . . the due date for the taxpayer tax return for the taxable year in which the transfer of the relinquished property occurs. This 180-day rule is very strict and is not extended if the 180th day should happen to fall on a Saturday, Sunday or legal holiday. 3-property rule: You may identify any three properties as possible replacements for your relinquished property. 200% rule: You may identify any number of properties as possible replacements for your relinquished property as long as the aggregate value of those properties does not exceed 200% of the value of your relinquished property. 95% exemption: You may identify any number of properties as possible replacements for your relinquished property as long as you end up purchasing at least 95% of the aggregate value of all properties identified. The Qualified Intermediary is a person or entity that can legally hold funds to facilitate a 1031 exchange. To be qualified, the intermediary must not be relative or agent of the exchanging party. As an exception, a real estate agent may serve as an intermediary if the current transaction is the only instance in which the agent has represented the exchanging party over the past two years. The use of a Qualified Intermediary is essential to completing a successful 1031 exchange. The Qualified Intermediary performs several important functions in the 1031 exchange process including creating the exchange of properties, holding the exchange proceeds and preparing the legal documents. This information is not intended to replace qualified legal and/or tax advisors. You should review all transactions in advance with legal and/or tax counsel.